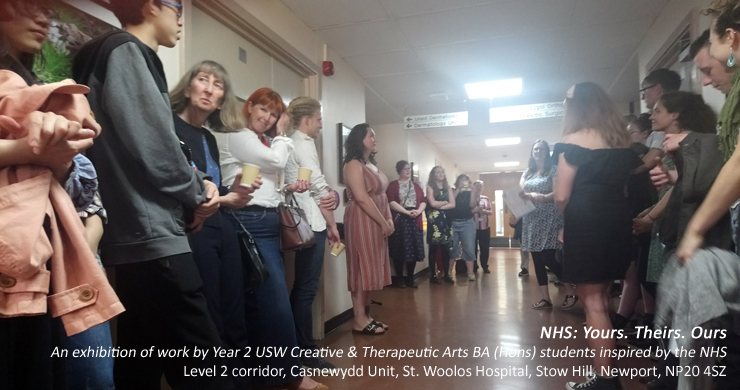 This year, Gwent Arts in Health (GARTH) have again invited Year 2 students from the USW BA(Hons) Creative and Therapeutic Arts degree to create artwork for the corridors of St Woolos hospital. They have made thoughtful artwork to both brighten the walls and celebrate the diverse roles that go into making our hospital wards work. 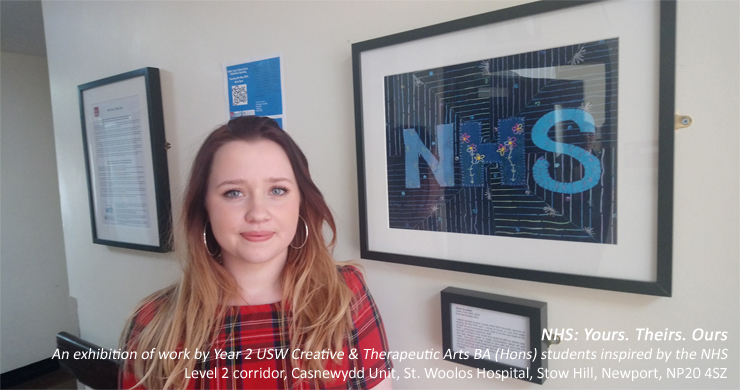 The Creative and Therapeutic Arts students have spoken with NHS staff, volunteers, retirees, nursing students and lecturers as well as family and friends to build up a picture of what makes our NHS so very special. The art reflects some of the many qualities we wish to celebrate in our fantastic NHS staff as we enter this special 70thyear. 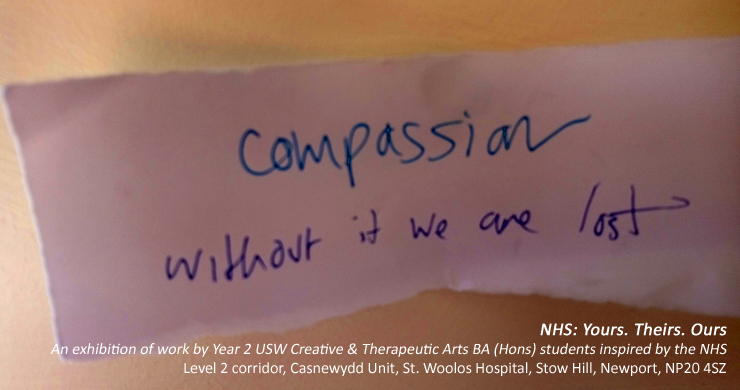 The celebration event was planned by the students and involved patients and staff from the hospital, a poem in response to the project and a chance for visitors to leave comments about the work, staff and the NHS alongside the exhibition. The artwork has made an immediate impact on the hospital and will be enjoyed by patients, staff and visitors now and in the future.